GMB, the trade union for care workers, is delighted to announce that they have recently signed a recognition agreement with local family business Fitzpatrick Home Care based in Earls Colne, Essex. The recognition agreement was signed after the owner of Fitzpatrick Home Care, Rob Fitzpatrick, contacted GMB to enquire about the benefits of his staff joining GMB and his company recognising a trade union. "It was refreshing to be contacted by a business owner like Rob Fitzpatrick who wanted his staff to be represented by a trade union and chose GMB, the trade union for care workers, to enter a formal recognition agreement with. “Fitzpatrick Home Care are taking the positive steps of moving their staff from zero hour contracts to fixed hour contracts, and we look forward to working with Rob, and his staff to ensure this transition goes smoothly. "This was something the organisation has been considering for some time and now has put in place. 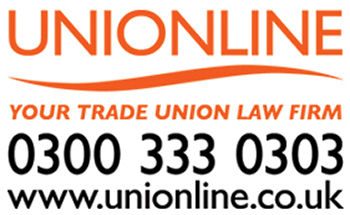 The organisation feels it is important to have trade union representation throughout the workplace which allows staff to access advice and assistance. “A union is also an opportunity for discussion between employer and its employees to rectify issues and concerns, or to improve the workplace." "It was great to be invited to meet with staff of Fitzpatrick Home Care, and discuss the benefits of joining GMB. “Having experience myself of being a home care provider in previous employment, I know first-hand of the risk and hazards involved in the industry of which many care workers see as part of their day to day work. “GMB is committed to ensure that these risk and hazards are identified and our members know what steps they can take to address them with their employer. “We are now looking to train one of our members within the workplace to become a GMB Shop Steward to represent them going forward."